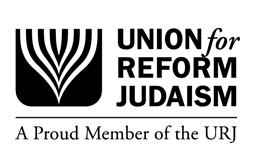 User created and invite sent.Judaism marks a number of minor fasts – but only two that run from one sunset to the next, Yom Kippur, the Day of Atonement, and Tisha B’Av, the 9th day of the month of Av, which commemorates the destruction of both the first and second Temples in Jerusalem, as well as later catastrophes. Yom Kippur gives individuals the opportunity to reflect on their actions over the past year so that they can do “t’shuvah,” “turning” to their better selves in the coming year. Because Tisha B’Av seems on the surface to be centered on mourning ancient losses, many people fail to recognize that it too is about T’shuvah. But in the case of Tisha B’Av, the turning we need to accomplish is not individual but societal. The Book of Lamentations, traditionally read on Tisha B’Av, begins with a question, “Eichah,” How? How can it be that she sits alone, the city that was once great with people? And this stated question implies others: How did this come about? In what ways are we at least partly responsibly? And what can we now do differently to prevent such tragedies from recurring? According to the traditional Jewish understanding, one of the root causes of the destruction of the First Temple was the people turning from worshipping the God of all creation and instead worshipping gold and silver, power and wealth. By the time of the destruction of the Second Temple, the problem was no longer idolatry but sinat chinam, baseless hatred. The sages of the Bereishit Rabbah use a pun (the text in Genesis literally says that God calls out Ayekka – where are you – but the spelling in biblical consonantal Hebrew is identical to Eicha) to make a point: the experience of destruction and exile is basic to human existence. And, just as in the days of the Temple, so too even today, we cause destruction through the worship of riches and power and through baseless hatred. Today, humanity as a whole is violating the Garden that is our beautiful, blessed world. We are quite literally giving rise to fires of destruction through greed and casual disregard of others. Through the wasteful and unsustainable burning of fossil fuels, we threaten the very future of civilization and of countless species all across the global garden. And if we do not turn away from this behavior, the havoc that climate change will wreak will give rise to howls of Eicha far more desolate than any that have ever been uttered. But Tisha B’Av teaches us that when we mourn, as we remember, we can be inspired to change. The second to last sentence in the Book of Lamentations reads: “Return us to You, Eternal, and we will turn. Renew our days as of yore.” In other words, if we really take in the howl of “how,” if we truly face up to what we have done, we can change. We can shape a future that with justice for everyone and sustainability for countless generations to come. We can make our world into a new Eden, a sacred Temple once again.